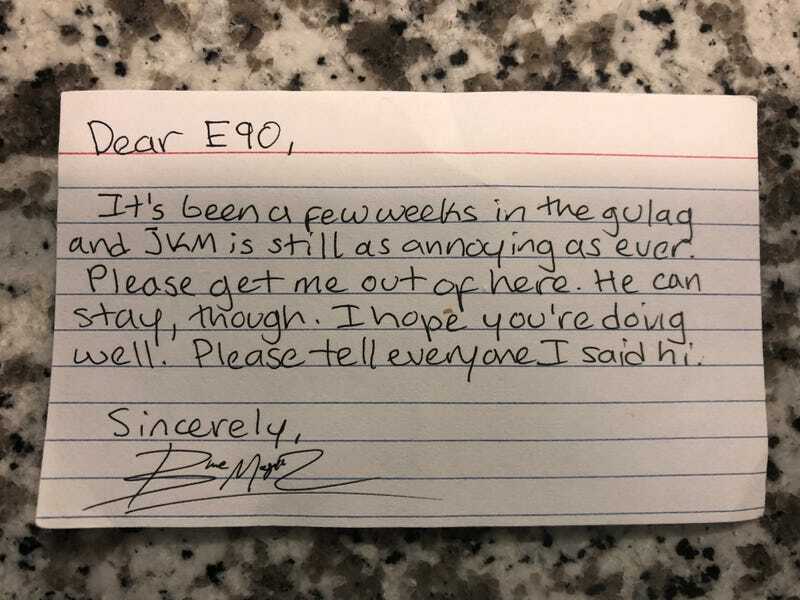 He sent a package from the gulag containing this note. Since it was my birthday earlier this month, this was also included. Not sure how he managed to get a model of a 997 turbo in the gulag, but I’m pleased. nevertheless. It’ll go great with my 996 turbo.